iTunes has an exciting range of music, applications, games and other types. Many of these are completely free but some of them require you a payment. Somebody would want to review their expenditure on iTunes from time to time and this can be done by viewing the iTunes purchase history. All your purchases that made through iTunes can be easily accessed. There are many ways you can use to access iTunes purchase history, we will talk about three easily ways in this article and guide you through the detailed steps. Part 1. Ways to View iTunes Purchase History on iPhone/iPad? Part 2. How to Check iTunes Purchase History on Windows PC or Mac? Part 3. Can I Check iTunes Purchase History Without iTunes? Part 4. What to Do If the iTunes Is Down? The first and the easiest way to view the iPhone purchase history from the iTunes app store is through your iPhone or iPad. You need not worry about the version or model of your device, the steps mentioned below will be the same for all the versions of iPad and iPhone. Follow these steps to view the Apple purchase history on your iPhone or iPad. 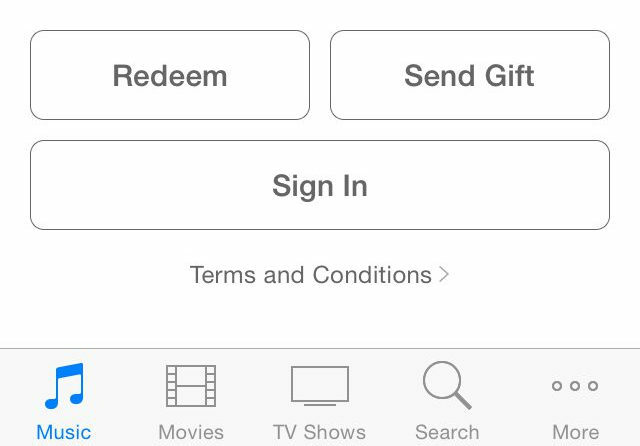 Step 1: In your iPhone or iPad open "iTunes Store" and sign in by entering your Apple ID and password and then tap on "More" and then on "Purchased". Step 2: Click on the desired category to view the purchase history, for example if you click on "Music", all the iTunes purchases made for music will be displayed on your device's screen. You can also use the other filters like "All", "Recent Purchases", etc depending upon your preference. Part 2: How to Check iTunes Purchase History on Windows PC or Mac? The most effective way to check your iTunes purchases is through Windows PC or Mac. All you will need is a desktop application of iTunes and through that you can easily access the entire iTunes purchase list, unlike other methods where only a part of the iTunes purchase history is being displayed. You can do this by following the steps below. Step 1: On your laptop/PC/Mac launch iTunes application and login using your Apple ID and password. Step 2: From the options available on the top, click on "Account" and from the drop down menu click on "View My Account". Step 3: Key in your password when prompted and then the "Account Information Page" will be displayed on your screen. Step 4: At the end of the page you will find "Purchase History" tab, click on that and then on "See All". This way the entire Apple purchases linked to that particular Apple ID will be displayed on the screen. Part 3: Can I Check iTunes Purchase History Without iTunes? You can also check the iTunes app store purchase history without the need of accessing iTunes; this can be done by following the steps below. Step 1: Launch "Safari" or any other browser on your device and navigate to https://reportaproblem.apple.com. Step 2: Enter your Apple ID and password and you can see the entire list of iTunes purchases which you have made on the screen. This is an easier method to view the iTunes purchase receipt and doesn't require the use of iTunes. Part 4: What to Do If The iTunes Is Down? There are many times when you are not able to access iTunes purchase history through iTunes due to some technical errors even after following all the steps correctly. iTunes is known to crash and go down frequently. If you are facing issues accessing iTunes to know your purchase history, a very efficient and effective tool Tenorshare TunesCare can be used to fix your iTunes error and let you view the purchase history. This is a highly recommended tool which can easily fix iTunes. Here's a guidance of how to use this tool to fix iTunes to know your iTunes purchase history. Step 1 Download, install and launch Tenorshare TunesCare on your PC/Mac and from the main interface click on "Fix iTunes Sync Problems". Step 2 Click on "Repair iTunes" to confirm the process of repairing your iTunes. Step 3 Once this tool is done repairing your iTunes, it will be shown on the screen. You can use this tool to fix almost every kind of technical error on your iTunes. You can use any of the three ways mentioned above to know how to check iTunes purchases, while the first method displays only parts of the purchase history category wise, the second method will display your entire purchase history on iTunes. If in case you want to view the purchase history without the aid of iTunes you can navigate to the "Report a Problem" page of Apple. iTunes tends to show some kind of technical errors from time to time and to solve this you can use the highly recommended tool Tenorshare TunesCare which will fix all the issues and will make iTunes function smoothly again.